BMR has consistently ranked among the five best rocketry groups in the nation during the annual National Association of Rocketry's "NAR Section of the Year" selections. For three consecutive years (2011-2013), BMR was recognized by JPL/NASA for "Its valuable contributions to its community in the areas of science, technology education, and inspiration." In its 22-year history, BMR have played host to thousands of rocketry enthusiasts from as far way as the United Kingdom, Slovakia, Hawaii and Korea, logging thousands of flights. The Blue Mountain Rocketeers and its members have been the subject of feature articles in past issues of Extreme Rocketry Magazine, Sport Rocketry Magazine, the Apogee Components newsletter, "Peak of Flight" and more recently in the book "The Star Gazing Chronicles" by Paul Casey. The group has also been the focus of human interest stories in local and regional newspapers, as well as on KVEW television in Kennewick, WA. The club's Constitution and Bylaws, as well as its organizational structure and operating procedures have been used as the framework for the creation of many other rocketry clubs across the United States. 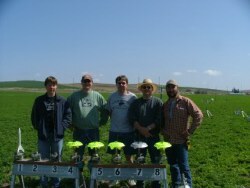 Rocketry enthusiasts from all over the states of Oregon, Washington and Idaho attend our club's monthly model rocket launches. We even have a club member from Hawaii! Members of BMR are a diverse group of individuals, including an aerospace machinist, an attorney, a hydro-electric dam operator, a civil deputy with the Sheriff's Office, a registered nurse, a physical therapist, an emergency services director, farmers, college students, high school and grade school students to name a few....even an aerospace engineer who worked on the Space Shuttle! BMR is one of only a handful of youth-oriented model rocketry clubs in the United States. 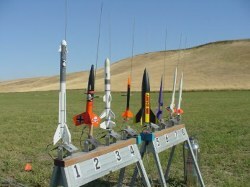 BMR is a rocketry club operated by youth. The Board of Directors of BMR (President, Vice-president, Secretary/Treasurer and Junior Member at Large) are all boys and girls under the age of 18. Each year, members of BMR conduct model rocketry classes in area schools, teaching boys and girls the basic concepts of space-related sciences. Volunteer members of BMR assist members of local scouting groups in earning their Aerospace Sciences merit badges. BMR assists local and regional Junior ROTC and Civil Air Patrol cadets with model rocketry and aerodynamic studies. Members of BMR conduct presentations and live launch demonstrations at schools each year in an effort to raise the public awareness of the safety and educational benefits of model rocketry. Two members of BMR have received the NAR President's Award; one of the most prestigious awards that the National Assocation of Rocketry can bestow. Tim Quigg received the award in 2001 in recogntion of his work with youth in rocketry. Dave Davis received the award in 2012 in recognition of his outreach and model rocketry clubs in the Pacific Northwest. BMR developed the “Rockets on Campus” model rocketry program, the purpose of which is to introduce model rocketry into science programs in schools. It has been adopted by the National Association of Rocketry for use on a national level, and by the Canadian Association of Rocketry. More recently, it has been used by Colorado State University, being used to instruct school teachers during their continuing education. The program was copyrighted in May, 2004. Youth members of BMR played a role in beta-testing and developing the National Association of Rocketry's Cadet NARTrek program. 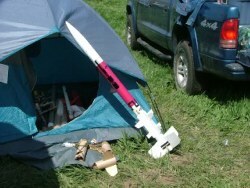 The Section Advisor of BMR has 42 years of experience with model rocketry. He is the former Assistant Editor of Extreme Rocketry Magazine (2000-2007). He is currently a contributing writer to NAR's Sport Rocketry Magazine. He is author of the high power rocketry book, "A Guide to Level One Certification" which is currently in its fourth edition, and eighth printing. He is the Head of Media Communications and Public Relations for the Glenda Project. This is an amateur research project involving the deployment of scientific electronic early warning payloads within re-useable rockets into thunderstorms and tornados. The data collected is helping to develop a 3-D computer model that will help to identify tornadic precursors, creating a better early-warning system. He is also a member of the Board of Directors for the Glenda Project's parent company, Pullman Geosciences, Inc. In 2011, he received the "Hometown Hero" award from the Coalition for Youth and Family in recognition of his work with youth. In its 22-year history, BMR has never charged membership dues, event or pad fees. The group is locally sponsored and funded through donations by local civic groups and foundations, with additional support provided by Broughton Land Company.